Peanut butter and a Choc Chip Cookie Slice sounded pretty good to me. 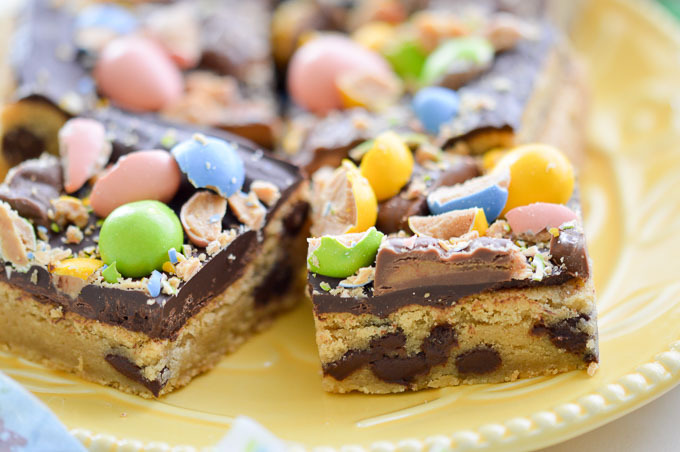 So the Reeses Easter Choc Chip Cookie Slice was born. 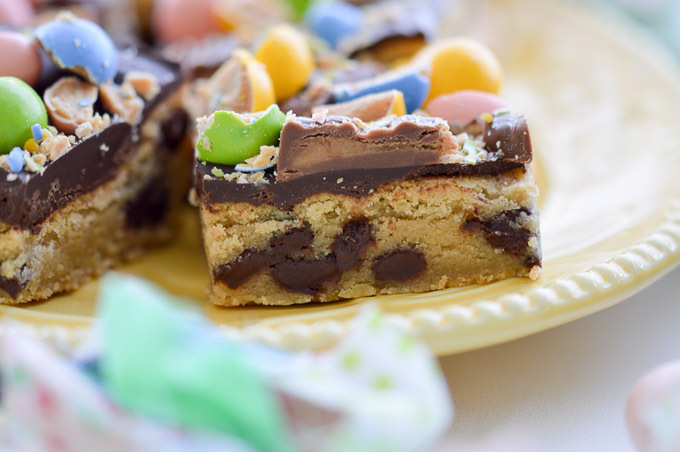 The cookie slice has just the right amount of choc chips. 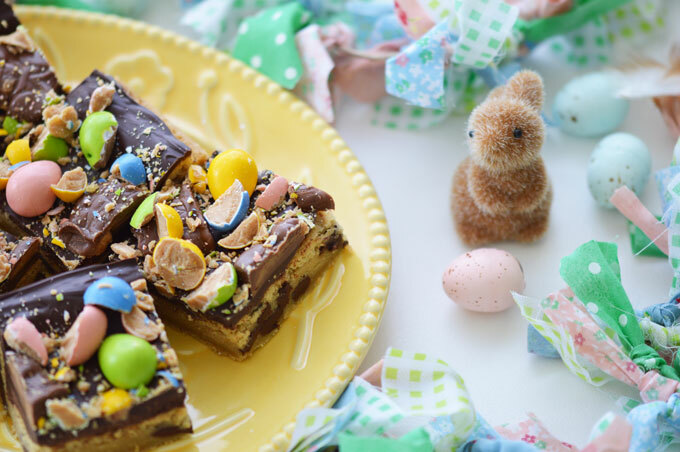 The middle of the slice is nice and soft and goes along well with the thin layer of chocolate on top. 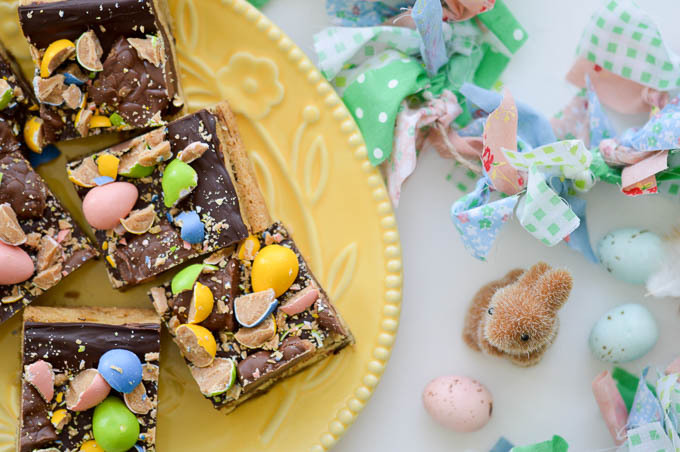 You get a yummy blend of that Reeses Peanut Butter taste from those decadent Easter decorations on top. Look at that lovely cookie texture with ooey gooey choc chips and the smattering of peanut butter deliciousness! 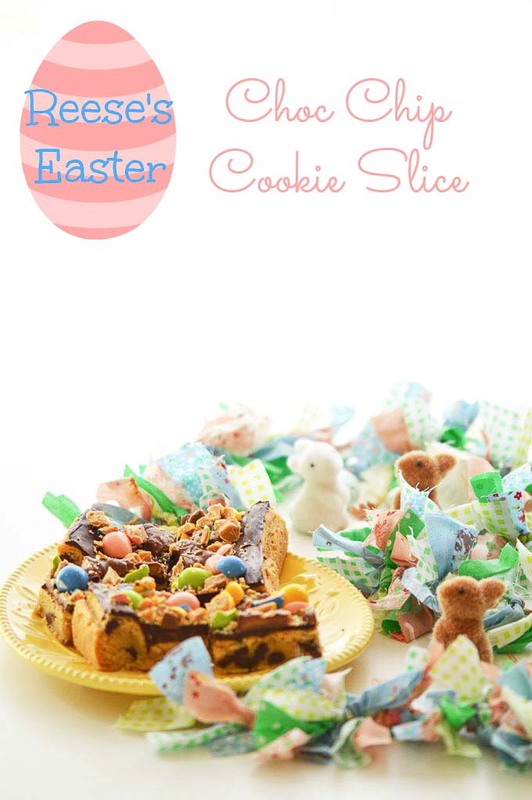 The Reeses Easter Choc Chip Cookie Slice was a hit with the big kids and little kids. It lasts for a week in an airtight container, so you have heaps of time to share it around. 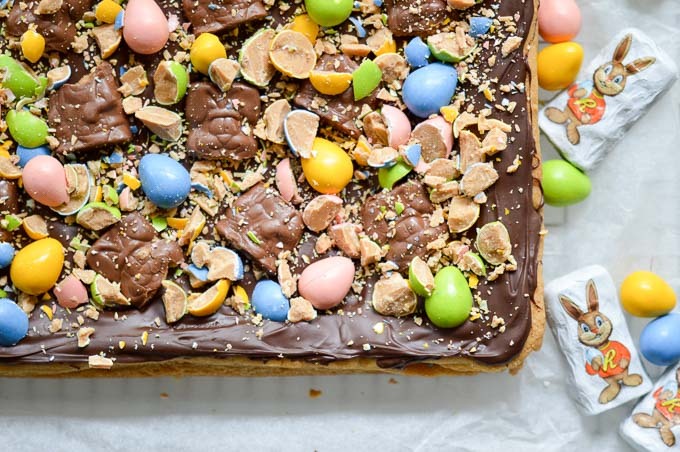 Have you started your Easter Egg shopping yet? What are your favourite Easter Eggs that you just can’t stop buying? Where did you get all the Reece’s stuff from? I want!! Gorgeous pics too. Lovely to see you yesterday. Nicole I’ve actually spotted Reece’s at Aldi before. Oh my these look all kinds of wrong… But in a good way. Scrumdidiliumpcious! Hi Kim, thank you for stopping by for a visit! They are very dangerous. I couldn’t stop eating the Reeses peanut butter eggs. They are soo goood!! 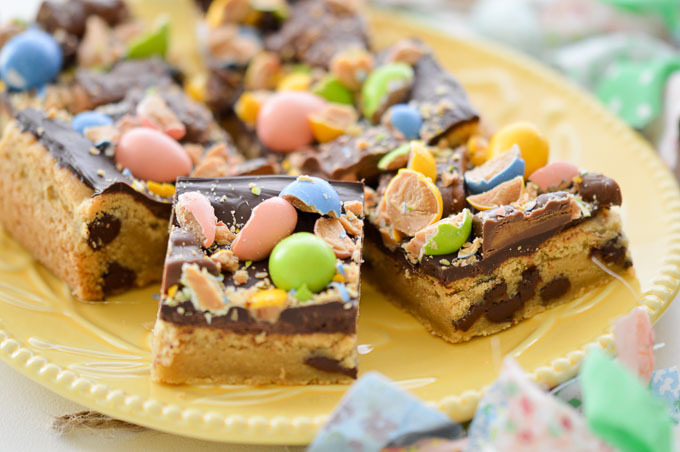 These are fantastic for Easter and look so good. Thanks for linking up to Pin Worthy Wednesday, I have pinned your post to the Pin Worthy Wednesday Pinterest Board. These look amazing!!!!! The colours are just stunning and its reeses pieces so it’s going to taste good!